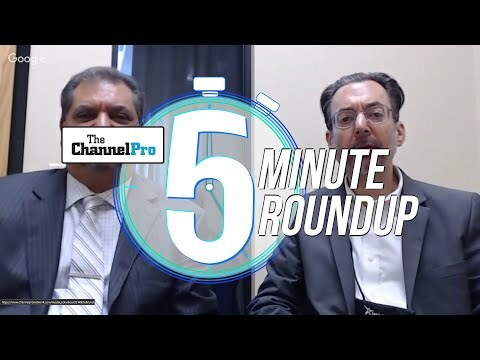 Trust us when we say this, because we know here at ChannelPro: There are a lot of smart people in the SMB channel. Yet for the second year running, we’ve set ourselves the exceptionally difficult task of identifying the 20 wisest channel players in the vendor, analyst, and consulting communities and the 20 most farsighted channel pros in the partner community. Most of the big thinkers who made the grade in 2016 did so last year as well, but they’re joined by some newcomers too. We hope you enjoy meeting them as much as we value knowing them. Lots of people say partner success is their top priority. Bellini actually means it, and legions of grateful MSPs have rewarded him for it with their loyalty. A constant source of new ideas for growing a managed services practice, Bellini has turned ConnectWise’s IT Nation conference into a can’t-miss landmark on the SMB channel’s annual event calendar. Look up “community” in the dictionary and Brelsford’s smiling face is likely to be the accompanying illustration. A serial entrepreneur, tireless globe-trotter, and nonstop font of events, seminars, and books, Brelsford has made arming the SMB channel for lasting success his life’s work. Executive Director, Americas, Ingram Micro Cloud, Ingram Micro Inc. Even people who don’t belong to Ingram Micro’s reseller network regard Bystrak as a leading authority on profiting from cloud solutions and anticipating the ever-shifting cloud market’s next moves. President and CEO, Roland Technology Group Inc.
A serial entrepreneur and IT services polymath, Conkle actually runs two companies on top of Plano, Texas-based managed services provider Roland Technology Group: The 20, which offers business development support to fellow MSPs, and Cytracom, which sells VoIP solutions. All three businesses reflect the deep, strategic understanding of IT opportunities and risks that make Conkle a consistent source of thought-provoking insights. Senior Vice President, Autotask Workplace Channel, Autotask Corp.
Arguably the SMB channel’s educator-in-chief, DiCostanzo taught many MSPs most of what they know about pricing and a whole lot of other topics. He currently serves on CompTIA’s Vendor Advisory Council. Ask almost anyone on this year’s 20/20 Visionaries list to name their favorite managed services experts, and chances are good Dippell will be among them. One of the most respected consultants in the industry, he’s a regular and highly valued speaker at industry events and conferences. Private equity firm Summit Partners made a shrewd move when it chose George to head the RMM and NOC businesses it acquired late in 2011 from the now defunct Zenith Infotech. In a little over four years, George has turned what was already a relatively healthy business into a managed services powerhouse with a payroll that’s expanded from 430 employees to approximately 1,200 and is still growing. The former proprietor of a successful managed services practice, Hedden once spent so much time answering questions about his company’s best practices that he decided to make sharing them his full-time job. Today, Hedden runs not one but two channel-oriented consultancies: Cloud Guru, which helps channel pros transition to cloud computing, and Marketopia, an outsourced marketing service for VARs and MSPs. He remains one of the most experienced, insightful experts in the SMB channel. Vice President of Marketing, eFolder Inc.
A respected authority on the BDR and file sync markets and an active participant in the partner community, Hulsy is currently a member of the HTG Peer Groups Advisory Council. One of ChannelPro’s go-to sources for wisdom and prognostication on cloud computing and managed services since our founding in 2007, Kaplan has his eyes on the fast-emerging Internet of Things market as well these days. President and Managing Partner, Channel Consulting Corp.
Lubner is as passionate an advocate of cross-selling and upselling as you’ll find in the channel, and a fertile source of practical advice on the topic as well. Channel EQ, his second business, helps vendors and IT providers close more and bigger deals by relearning the lost art of personal relationship building. Want to know what new products and services you’ll be selling three years from now? McBain is the guy to ask. A reliable source of sharp insights and bold predictions, he’s as true a thought leader as you’ll find in the SMB partner world. What’s the biggest underappreciated threat or danger for channel partners today? Technology itself, Lubner says. Salespeople, especially millennial-aged ones, are spending too much time on their smartphones and not enough talking to people. “Everybody is trying to prospect with social media and emails,” Lubner says. “They’re losing the skill set of being able to connect with people and build relationships with people.” The result, he continues, is shallow pipelines and fewer deals. “If they can swing back to picking up the phone or meeting somebody and developing those skills to make those relationships, then they’re going to win,” Lubner advises. According to Melby, it’s getting stickier with clients by providing strategic advice based on in-depth knowledge of their business. “Don’t be a trusted adviser. Be the consultant that no one else is in the position to be,” Melby advises. The payoff will be long-term relationships that mass-market cloud providers and other competitors will have trouble breaking. In the words of fellow 20/20 laureate Dave Sobel, Palachuk all but wrote the book on managed services. His Managed Services in a Month, first published in 2008, remains the definitive guide to becoming an MSP, and it’s been followed in the years since by a host of other equally invaluable books, conferences, and webinars. Pica is a proven winner, and not just because he’s on this list. After building his managed services practice into a multimillion dollar business with over 7,000 endpoints under management, he has subsequently built consulting firm TruMethods into a leading source of managed services advice and education. Marketing is a complex and unfamiliar topic for most channel pros. Pool does a better, clearer job of explaining it to them than anyone we know. Attending one of his speaking appearances is the best way to see what we mean, but his forthcoming One Hour Marketing: The Entrepreneur’s Guide to Simple Effective Marketing also encapsulates his teachings. Vice President of Business Development, Datto Inc. Though he could easily have been overshadowed by his much (and justly) heralded boss, Datto CEO Austin McChord, Rae has carved out a respected profile of his own in the SMB channel. A tireless road warrior and conference speaker who has played an instrumental role in building Datto’s large and fiercely loyal partner base, Rae is a thoughtful source of savvy perspectives on a wide range of topics, including business continuity, the subject he wrote about last year in the multi-author book and Amazon best seller Under Attack: How to Protect Your Business & Bank Account From Fast-Growing, Ultra-Motivated and Highly Dangerous CyberCrime Rings. Vice President, SPC International Inc. Drawing on his experience as head of a pioneering managed services practice, Simpson has turned SPC International into one of the biggest providers of MSP training and consulting in the industry, with a massive library of content on everything from sales and marketing to operations and service delivery. Director of Partner Community, LOGICnow Ltd.
Who better to grow an MSP partner channel than a former MSP channel partner? Sobel was an indispensable source of savvy opinions on managed services back when he was running a practice of his own. He remains so today in his new capacity as MAXfocus’ resident channel builder. A committed “go giver,” Sorensen has been lending a helping hand to fellow channel pros for years, most notably through his HTG Peer Groups organization, which from humble beginnings has turned into one of the partner community’s most trusted vehicles for sharing knowledge. Rare among IT analysts, Walsh writes as skillfully—and perceptively—as he speaks. That ability, coupled with his unflinching willingness to state unpleasant truths, have made Walsh’s contributions to The 2112 Group’s Channelnomics website must-reads. President and CEO, Alvarez Technology Group Inc.
Alvarez’s commitment to continual improvement has propelled his firm to a spot on both the Inc. magazine and Silicon Valley Business Journal lists of fastest-growing private businesses. Not content to build one successful company, Babinchak has launched two: Harbor Consulting Services, her small business IT firm; and Third Tier, the consultancy she and an elite team of fellow tech experts created to help channel pros tackle stiff support issues and big questions about the IT industry’s future. President, Banks Consulting Northwest Inc. The demise of Microsoft’s Small Business Server left many channel pros scrambling for alternative solutions. Banks has been a leader in guiding them through the pros and cons of their various options and explaining how to stitch together credible SBS alternatives. Aka “Small Business Susan”—and “the SBS Diva” before that—Bradley has been generously dispensing technical wisdom about Microsoft server products to the SMB partner community for about as long as that community has existed. 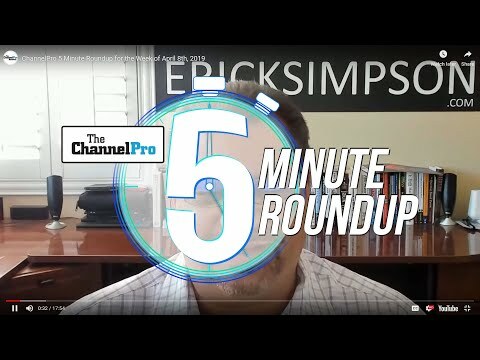 There’s a reason ChannelPro-SMB is but one of several IT publications that regularly turn to Cocanower for input on current IT trends: He’s about as shrewd and articulate an observer of the SMB market as you’re likely to find. Founder and CEO, Sagacent Technologies Inc.
Never content with the “good enough” approach to more or less anything, Correia is usually experimenting this year with the business and IT management best practices you’ll be rolling out next year. Better yet, he’s also usually happy to share his latest ideas with other channel pros. Lots of solution providers offer security services, but only a few have built their entire business around them. Culler is one of them, and focusing on a single knowledge domain has enabled him to become one of the SMB channel’s foremost experts on a topic of vital and all-but-universal concern. Founder and President, GCS Technologies Inc.
A member of the HTG Peer Groups Advisory Council, Gleinser has skillfully led GCS Technologies onto the Austin Business Journal’s 2014 Fast 50 list of rapidly growing companies with less than $10 million in annual revenue. One of Microsoft’s most trusted outside SMB channel advisors, Hall is also a prominent member of the International Association of Microsoft Channel Partners. Anyone building a cloud or managed services practice would be wise to use Hall’s firm as their model. Klein runs a successful IT consultancy, delivers monthly lectures to fellow IT providers, serves on the executive board of the New York Small Business Server Group, and somehow finds time to pursue his passion for long-distance running as well. Back when most channel pros were complaining about cloud computing’s thin margins, Kolakowski was devising the strategies that helped turn 6th Street Consulting into a thriving powerhouse of Microsoft Office 365 sales and services. An active member of the partner community, Kolakowski is currently U.S. president of the International Association of Microsoft Channel Partners. An energetic business leader who incorporated his company at age 16, Louissaint is a prime example of how cultivating vertical industry expertise can translate into steady growth and profits. What began for his firm as a server and support deal with a single legal industry client has since expanded into a full-service offering encompassing e-discovery, expert witness services, and computer forensics too. Louissaint also works with clients in the financial, insurance, and automotive industries, among others. Mazzanti’s enthusiastic embrace of cloud computing has fueled 129 percent revenue growth over the last three years and made him a three-time nominee for Microsoft partner awards, as well as the 2012 winner of Microsoft’s Small Business Specialist Partner of the Year award. Melby has become one of ChannelPro’s favorite sources of smart, unconventional thinking on a variety of topics. From his “top-down” customer support process, which routes incoming tickets to the company’s most experienced techs first rather than last, to his mobile development and digital marketing service offerings, Melby does things a little differently from most of his peers, in ways and for reasons that can be highly instructive. A co-founder and leader of the Sacramento SMB IT Pros partner group, Nitrio is a consistently thoughtful source of astute observations on IT issues and the state of the SMB channel. He’s also the 2012 recipient of SMB Nation’s Jim Locke Memorial Community Award for service to the IT community. A co-founder and leader of the Sacramento SMB IT Pros partner group, Robert Nitrio is a consistently thoughtful source of astute observations on IT issues and the state of the SMB channel. One of the industry’s foremost experts on the SMB-oriented editions of Microsoft’s Windows Server operating system, Royalty is a longtime member of Microsoft’s Most Valued Professional program and a respected speaker at industry conferences and events. The multitalented Seibert carves time out of a busy schedule running his business to help steer the SMB Technology Network’s Southern California chapter and manage SMB TechFest’s growing roster of conferences, webinars, and peer groups. Widely known and widely respected throughout the SMB partner community, Shoer presently serves on CompTIA’s board of directors and as a member of the ConnectWise Advisory Council. CEO, Anchor Network Solutions Inc.
A frequent conference speaker, incisive industry observer, and chair of CompTIA’s Managed Services Community, Tinnirello has led Anchor Network Solutions to 12 straight years of profits and $2 million in revenue. Big-time vendors like HP and Microsoft may not agree on everything, but they have at least one belief in common: If you’re looking for smart, honest opinions on SMB channel and market conditions, West is one of the best persons to consult. What will be the biggest change for the SMB channel in the next three years? Conkle expects consolidation in the managed services market to create downward pricing pressures that smaller MSPs may have trouble withstanding. “The companies that survive will be the ones that can differentiate themselves from the masses,” yet also team up with fellow providers in areas like procurement, sales, and marketing, Conkle says. The proliferation of Web-enabled devices on customer networks, and the difficulties of securing them, Culler predicts. “It can be something as simple as a postage meter,” he says. That’s something few VARs sell but many SMBs use, and they’re increasingly connected to the Internet. The good news, Culler adds, is that software capable of discovering such devices is readily available. The bad news is that tools and techniques for shielding them from attackers aren’t. “They’re going to have to look at alternative methods to be able to secure those things,” he says of MSPs. On the plus side, Culler continues, forging alliances with the vendors who install and maintain those gadgets, most of whom have little IT know-how, can be a source of fresh growth for channel pros. “It’s an opportunity for them to expand their networking base and bring in new sales channels,” Culler says. Hedden sees two coming on fast. 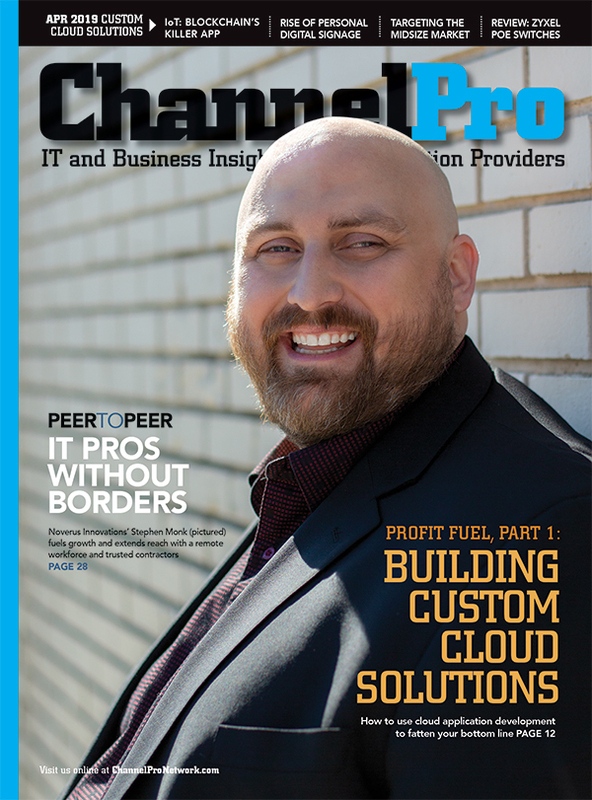 First, channel pros will reach beyond the cloud services they offer today in areas like backup, VoIP, and productivity solutions into the still-underexploited infrastructure- and platform-as-a-service markets—and figure out how to make money doing so. “MSPs are learning how to increase margins by bundling in services around cloud offerings to form true end-user solutions,” says Hedden. His second prediction is continued consolidation in the managed services partner community, leading to increased profitability for the fewer, large businesses that emerge from that process. SMBs still have plenty of on-premises server hardware these days, but Louissaint sees that changing soon. “As we move forward and it’s time to refresh equipment, SMB clients are going to be more comfortable saying, ‘I want a full cloud solution and no hardware on-site,’” he predicts. That will obligate managed service providers to become cloud service providers with a very different business model quickly. And woe be to those who can’t make that change.